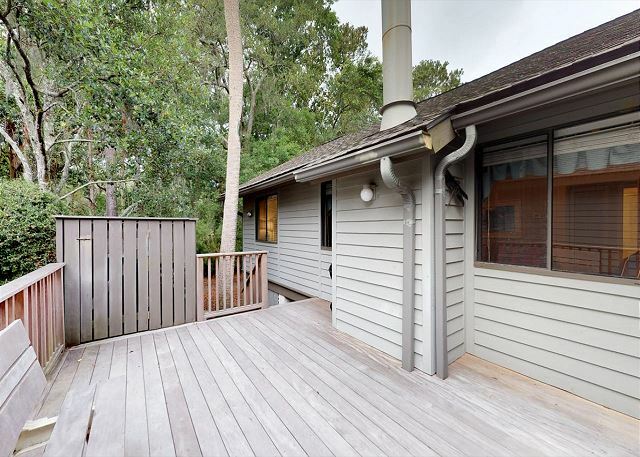 This charming cottage in popular Oceanwoods neighborhood is in a serene, yet central, location. Kiawah's award winning beaches are only about 225 yards away and with a short bike ride you can easily get to Night Heron Park, the Sanctuary Hotel, and golf and tennis too! The property has both a deck and screened porch for plenty of outdoor living space, two TVs with cable, high speed wireless internet, and parking for up to two cars in the driveway. There is a small charcoal grill at the property. The three bedrooms are comfortably equipped with two queens and two twins. This vacation rental property is great for those who have trouble with steps as there are only a few leading up to the front door. 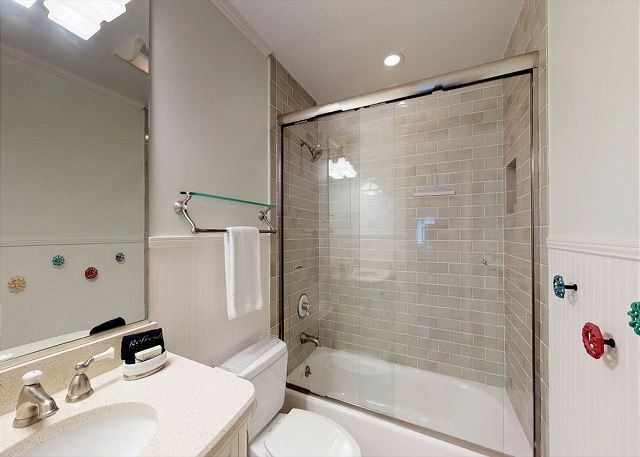 It has a spacious living room, a fully equipped kitchen, a washer and dryer, linens and bath towels, a departure housekeeping service and a starter supply of paper products and detergents. As our guest, you will have access to 5 Championship Golf Courses – including The Ocean Course – the location of the 2012 PGA Championship; The Kiawah Island Resort Tennis Center - #1 ranked by Tennis Resorts Online; Free Wireless Internet Access; Local Property Management staff is on hand in case of emergencies and their friendly, helpful, and knowledgeable staff can assist you with any needs throughout your stay. Additional housekeeping services are also available during your stay (mid-week clean or daily trash and tidy).